There’s an old saying in England that when the ravens leave the Tower of London, the monarchy will fall. Is there, I wonder, a similar maxim in Ireland when sales of Guinness slump: the Blarney Stone turning to dust, perhaps? Alt Köln am Dom (Trankgasse 7-9). Located across the street from the cathedral. Look for the strange astronomical clock above the entrance. Brauereiausschanks zum Pfaffen (Heumarkt 62). An old-school pub whose decor features stained-glass depictions of Karneval. Pop quiz time. 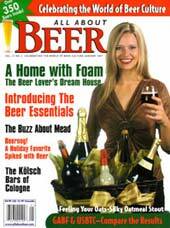 Q: What does Kölsch beer have in common with Cheddar cheese, Parma ham, and Champagne? A: All of them are associated with particular place.